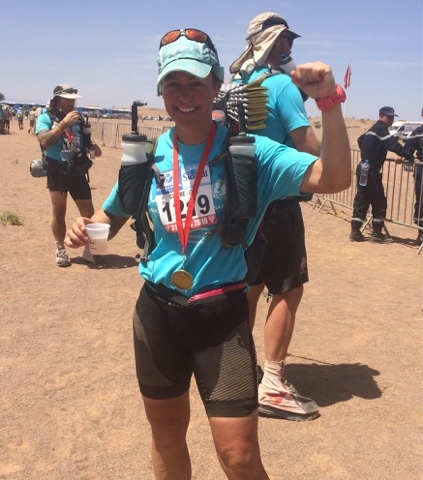 Always on a mission to push herself to the next level, Claire decided that her upcoming 40th birthday was the perfect time to enter herself into what has been billed as the “toughest footrace on Earth”. 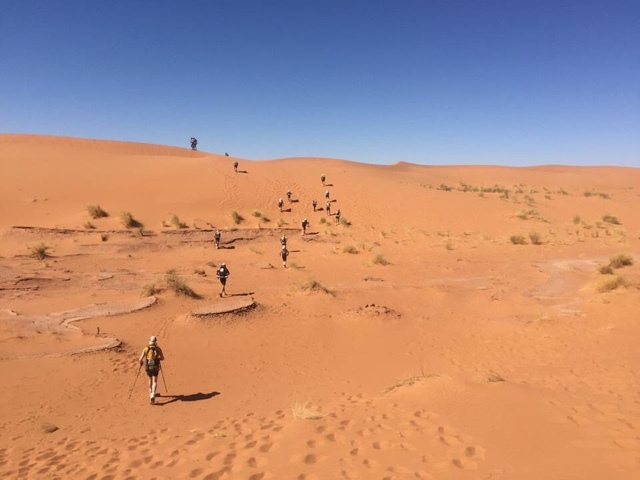 This gruelling race takes place in the Sahara Desert and is a six day ultra marathon covering around 150 miles in temperatures of close to 50 degrees…all while carrying your own backpack. So how does someone who lives in the not so sunny and warm climes of Northern Ireland train for such an event? Bikram yoga and heat chambers of course! 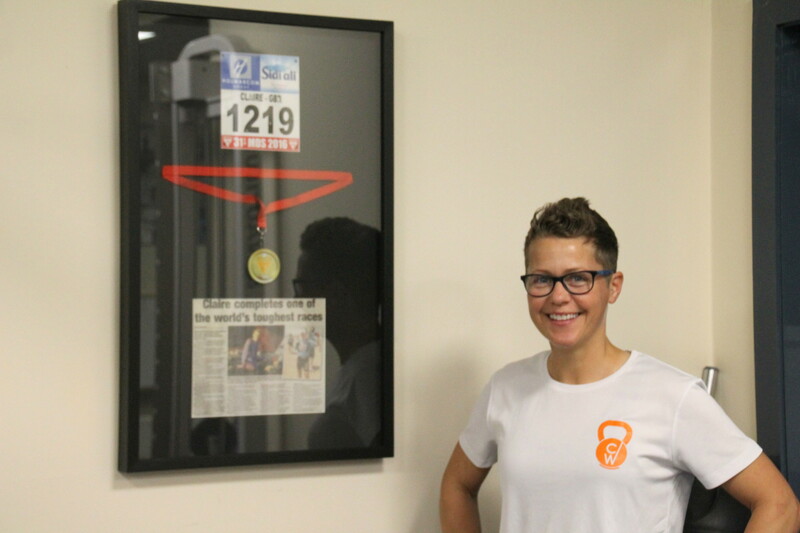 Claire spent many an uncomfortable hour running on a treadmill in 40 degree heat to ensure that her body would be acclimatised when it came to the real thing. Not to mention the many beach runs, mountain runs and weekends spent doing long runs that she also did to get herself ready for six back to back marathons. After a year of hard training, and months of pack preparation- your food and equipment in this environment could be the difference between making it through the day and having to drop out of the race entirely- only the race itself lay in front Claire. Here, she overcame sickness, diarrhoea, overheating, loss of appetite, dehydration and pain to conquer the sand, the mountains and the heat. And why put herself through all of this? Not just for the challenge, but also for charity. 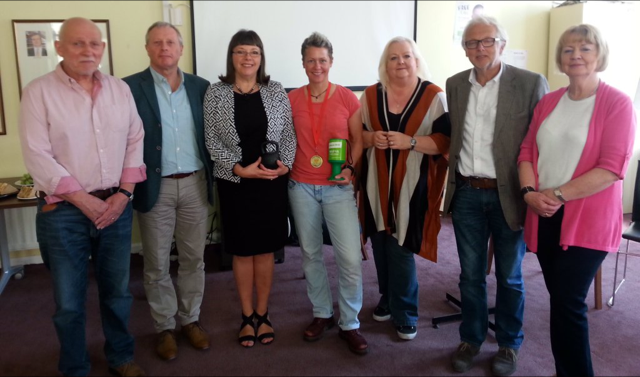 Claire used this opportunity to raise over £3500 for The Samaritans, which she presented to them on her return home.